So Will Argie Dope Disband The Swiss Guards? Meanwhile, after shiftily erasing that slip of the tongue, the mangy old ratbag has been again opining on his other favourites, the illegal aliens still oozing across the Med. ….and thus put the nuns at risk of the same fate suffered by so many other innocents in Italy at the hands of alien predators. But, as it happens, the idiot’s outburst had already met with a perfect put-down, issued in answer to the old creep’s similar recent bleats, from somebody with more clout than me! …while maintaining a wall around the Vatican where he lives that is guarded by the famous Swiss guards who prevent people from straying into the Pope’s residence. And, oh yeah, has he had that Quebecker dealt with yet? C’mon, Brits! Email A Big Thanks To Donald! 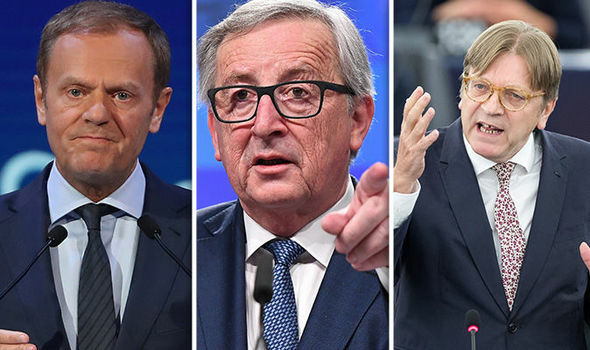 ….Brits should have felt a rush of gratitude towards President Donald Trump, when last week he scorned the traitorous schemers who want to make them keep voting till they submit and make a choice acceptable to the anti-democratic EUSSR. Take five, grab your keyboards and tap out an email, quoting those wise words of his, and sign off, with this brief appreciative ending! Many thanks, Mr. President, for your words of support for British democracy! He’s good for America and he’s all for democracy. I’m glad some folks there appreciate him. He also said that May had made a mess of the negotiations. In that, I think she was wrong. My belief is that May always meant to get such a bad outcome. All the same, I do appreciate Trump’s words on the second referendum. I would only approve of a second vote if we are guaranteed a third one and a fourth, say at ten year intervals. Yes, Murder Is A Crime – But Let’s Not Jail Too Many Murderers! It is always challenging to watch the contortions of the Media-Democrat Party in America, how they claim to be American but do all they can to undermine the USA. But surely we have just seen the most breath-taking example of their convoluted – crack-brained – debating tactics. 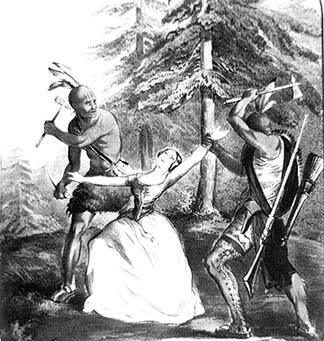 Imagine a political party that insists it is, always has been, opposed to murder. It will, it says, maintain its opposition to murder. But it will make sure there is insufficient space in prisons to hold convicted killers. It’s absurd, laughable, an insult not just to law and order but also to logic! If a thousand murderers are convicted and there are only a thousand cells available, once they’re fully occupied then all other convicted killers will just have to be turned loose, perhaps with a courteous request that they check in with parole officers now and then? Yet that’s what the Media-Democrat Party USA wants to do with another category of seriously dangerous law-breakers – CRIMMIGRANTS! 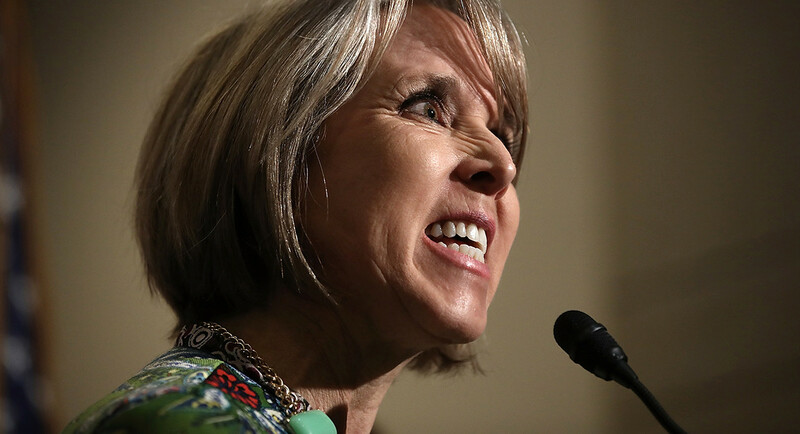 …one sticking point in negotiations was the Republicans’ refusal to accept a cap on the number of undocumented immigrants who might be held in detention centers run by the Immigration and Naturalization Services. So just turn ’em loose? Well, God Bless Trump if he does round up not 16,500 but 165,000 undesirable aliens. That’s a drop in the bucket, given there are said to be 12 million of the creeps in the USA. That’s something Media-Democrats just don’t get. To coin a phrase we heard from Turn-Coat Tusk recently on another issue entirely, there must be a ‘Special Place in Hell’ for scumbags like that. Unless of course The Devil has had limits placed on his powers to hold evil-doers. None of us can believe it either, except we can. The Dems just hate the idea of illegals getting caught and locked up. If it is 16500 or 165000 like your idea, or 1,650,000 like I would like to see caged, it shouldnt depend on some cap but on if they are guilty or not. Guilty they are, as soon as they touch down on American soil. Put them behind bars, until the trucks are ready for loading. Very good comparison, murderers and illegals, specially since so many murders and other crimes are committed by illegals. Typical Democrats, looking for any way to help out future Democrat voters to stay in a country they have no right at all to be in. Thanks for straight talking, it is nice to read. As one might expect, that champion of the struggling disadvantaged, House Speaker Nancy Pelosi, owns an impressive vineyard in California’s posh Napa Valley – that’s besides the arguably even posher mansion in San Francisco! 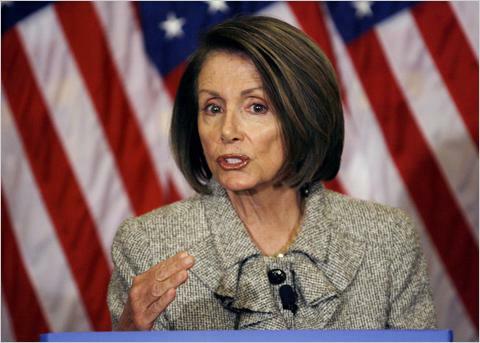 ….but let’s not expect consistency or principle or even morality from the likes of Pelosi. And those three qualities, or rather their absence from whatever passes for the old bat’s political vision, were what ‘conservative activist’ Laura Loomer has agreeably dramatised by bringing a clutch of ‘illegals’ onto the Napa Valley property and declaring a ‘sanctuary’ and/or ‘safe space’ – more pinko-speak, but we have a few leftist readers! As we know, from Pelosi’s televised and lame-brained ‘rebuttal’ to The Donald’s nationwide alert on the crimmigrant menace, she and Schumer care so little about the atrocities committed by illegals that neither of them even thought to mention, never mind challenge, the President’s factual reference to those numerous and nasty crimes. ‘She Doesn’t Look Like MY Daughters’ – The Silence of theSwine Obama! In that respect, both Democrats are true to Obummer’s callous indifference to the suffering of Americans at the hands of alien intruders. Anyway, if you relish the thought of a sanctuary-freak having part of her own spacious estate thus designated, good news! The ‘occupation’ was live-streamed, so use that RT link above to watch. I hoped you would cover this. You probably heard the latest news about how the horrible woman point-blank refused to meet the mothers of Americans murdered by illegals? Pelosi has no conscience where our people are concerned but show her an illegal alien then even her plastic-based features mobilize in compassion. Read this, it’s a very clear insight into how liberals feel about crimmigrants. I see those Angel Moms messed up Schumer’s office a little. They should have broken Pelosi’s broomstick. She is a wicked old witch. If she hates Trump, then we can be sure, from that fact alone, he must be doing good things. 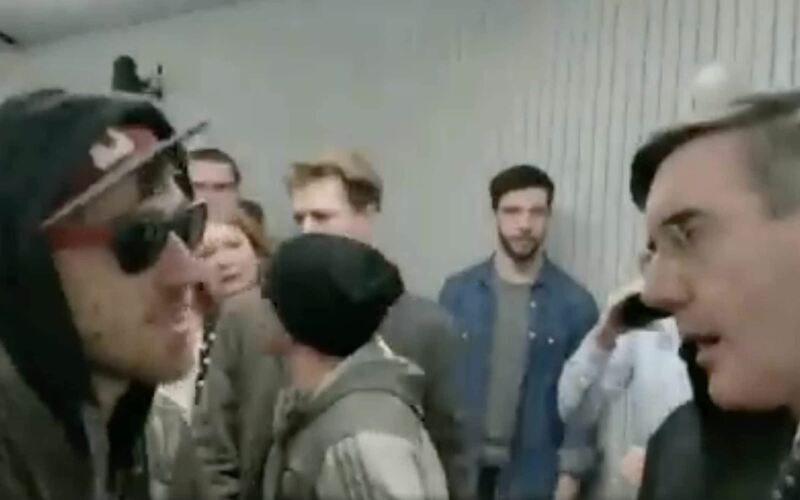 Very well timed occupation, and please notice it was peaceful and polite, not like the Soros ‘Occupy’ trouble-maker trespassing a few years back. Good News From USA – Pro-Perv Commissar Out! …so now we welcome the great news that she has stepped down and Donald Trump now has the chance to appoint somebody not wedded to the gaystapo agenda to the position she held. It was thanks to Senate Majority Leader Mitch McConnell’s refusal to hold a vote on the admirable block imposed on the self-confessed ‘gay’ leftist’s confirmation by pro-decency Senator Mike Lee of Utah. Washington Blade reports. Victory for the U.S. Constitution and religious liberty in America! Since 2010 Chai Feldblum, an anti-religious liberty activist, has served as commissioner at the U.S. Equal Employment Opportunity Commission (EEOC) – the federal agency dedicated to protecting the freedom of religious expression. Feldblum’s term as commissioner was set to expire on July 1, 2018, but President Trump had renominated her for another term. Beginning in December 2017, AFA vigorously opposed her service at the EEOC. 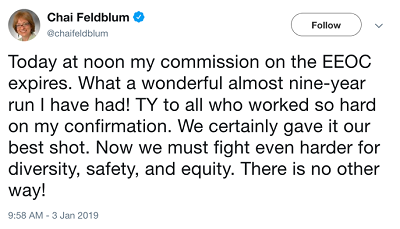 Because of public opposition by AFA supporters and the opposition of a few U.S. senators, Feldblum has reached the end of her stint at the Commission. Feldblum’s influence at the EEOC was a real threat to the religious liberty of Americans. Her fight for “diversity” and “equity” can be translated as the insistence to place the right to sexual deviancy ahead of religious liberty. President Obama was able to place Feldblum on the EEOC as a recess appointment, a strategic move that enabled Obama to circumvent Senate rules and Senate republican opposition. When the Senate voted in 2013 to renew Feldblum for another term at the EEOC, the only republicans who voted for her were Sen. Susan Collins (R-ME) and Sen. Lisa Murkowski (R-AK). Sens. Collins and Murkowski votes were not necessary since the Democratic nomination passed 54-41. AFA is thankful its supporters took action to let the Administration and the Senate know how important fundamental religious liberty is to the constitutional republic of the United States. The position at the EEOC remains vacant, and President Trump should nominate a constitutional conservative that’s in keeping with his campaign promises. A Petition For American Readers! Once again, in accordance with our usual practice, we are offering a petition that’s been drawn to our attention, this one on the current clash over making the American Border effective against the sort of alien horde currently seeking to gate-crash the USA. …but also due to a deeply ideological committment to multicult. Anyway, please read the petition and decide for yourselves. Instead of working with President Trump to fund the Wall and re-open the federal government, Pelosi and her liberal allies are stonewalling and blocking the President and his America First immigration efforts. You and I both know that the liberals’ open-borders agenda is one of our country’s greatest threats right now… illegal immigrants, drug dealers and notorious MS-13 gangsters, even terrorists are pouring into the country via our insecure southern border. That’s why it’s crucial you and I both take action today and petition Congress — with special attention to the House of Representatives — to pass a federal appropriations bill that includes full funding for President Trump’s Wall! Last Chance For US Readers – Tell Trump To Thwart Gaystapo! Another, maybe the last, chance to keep this dangerous fanatic out of a powerful position in the United States Government. It is outrageous that such a bigoted pro-pervert figure should have any say in decisions that affect religious liberty. In December 2017, President Trump re-nominated Chai Feldlbum to serve as Commissioner of the EEOC. Feldblum is the same anti-religious liberty and pro-LGBT zealot whom President Barack Obama nominated in 2010. Her previous term ended July 1, 2018. It is time that President Trump withdraw Feldblum’s nomination and replace her with a Constitutional conservative who will protect the First Amendment. …Her mixed-up views force Christians to abandon their deeply held religious beliefs on marriage and sexuality. Contact the White House and urge President Donald Trump to withdraw the nomination of Chai Feldblum for Commissioner of the Equal Employment Opportunity Commission (EEOC). The adverse effects of Chai Feldblum’s warped worldview have infected the EEOC resulting in numerous rogue actions by the U.S. Executive Branch. In 2014, Feldblum’s EEOC, with assistance from the ACLU, argued for a transgender employee’s rights before the U.S. Court of Appeals for the 6th Circuit. In this case, a Christian business owner of a funeral home had fired employee Anthony Stephens, who was undergoing “gender transitioning” and wearing women’s clothes to work. The business owner said this violated his Christian beliefs, but the EEOC argued that a Christian business owner could not fire a transgender employee for religious reasons. The court agreed. 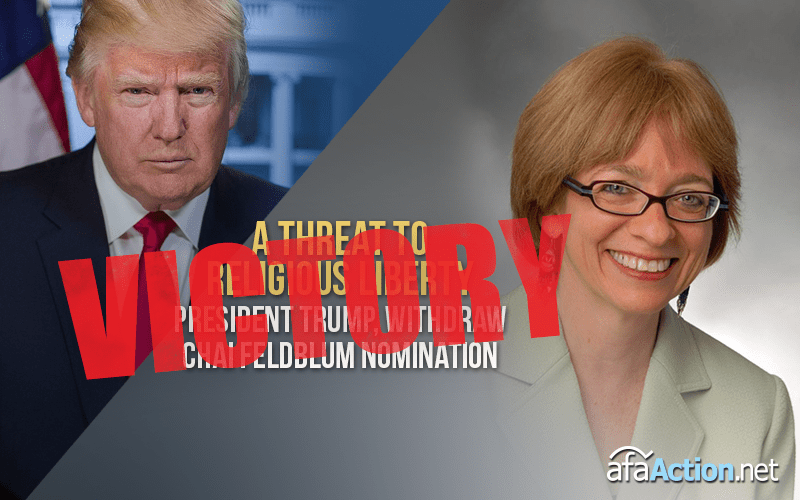 The re-nomination of Chai Feldblum, one of President Obama’s most ardent opponents of religious liberty, grossly undermines President Trump’s promises as well as his instructions to the Department of Justice to protect religious liberty. Thanks to Senator Mike Lee (R-UT), Feldblums nomination remains stalled in the senate because of Lee’s objections which are in line with the objection of the American Family Association. Thanks. I have signed it. Trump needs a wake-up call on this.